Spend the day unwinding in Champneys Eastwell Manor Spa, with full use of the facilities, lunch and a £40 treatment voucher. Champneys Eastwell Manor is the perfect place to escape the stresses of your demanding day-to-day. 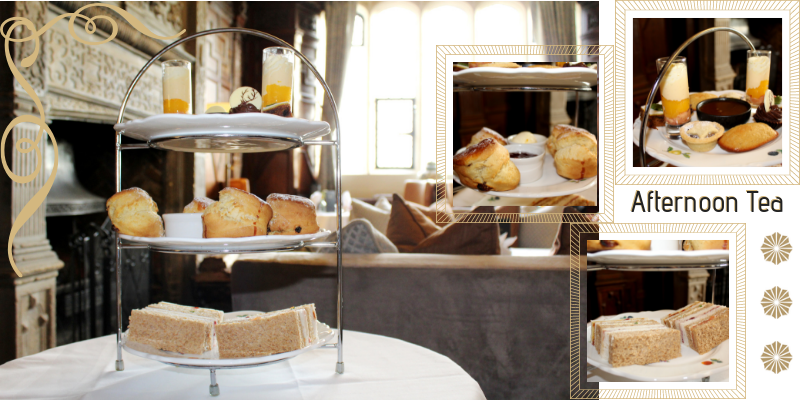 Relax in the historic setting, and enjoy access to the spa’s exceptional facilities, plus lunch and a £40 treatment voucher. 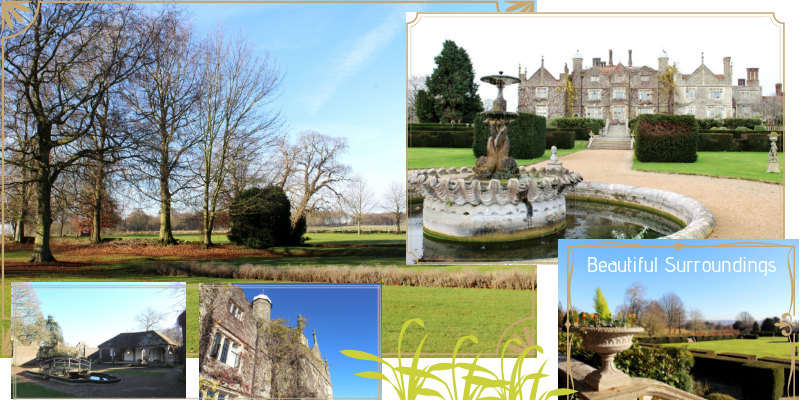 The spa is set within a centuries-old Neo-Elizabethan estate, just outside Ashford, Kent. Amid sweeping lawns and lush parkland, it offers a pampering experience with all the luxury of an English country house hotel. Your voucher entitles you to full use of the leisure facilities, including the well-appointed gym, exercise classes, swimming pool, sauna, steam room, and jacuzzi. The cost includes Champneys robe and towel hire, plus a pair of flip flops to keep.Tea and coffee is provided upon arrival. At lunchtime, you’ll enjoy a wholesome three-course meal – perhaps before a leisurely game of golf or croquet. You’ll also receive a £40 voucher to put towards a treatment from Champneys’ soothing range. Throughout your visit, you’re guaranteed quality service and a restful atmosphere in which to unwind. The Champneys Spa Day, at Eastwell Manor, with Lunch is one classy package, and an Experience Days voucher would delight a hardworking loved one. The Champneys Spa Day at Eastwell Manor with Lunch is available year round, from Monday to Thursday. Please note, there is a supplement charge of £10 for Fridays/Sundays and £20 for Saturdays. Champneys' fitness classes can be pre-booked for £3.00 to guarantee a space. Availability can be limited on arrival to resort. Under-18s must be accompanied by an adult in all areas at all times. Parental consent is also required for those wishing to take part in a boot camp or personal training session. You're free to arrive at the spa from 10am and should depart by 6pm. 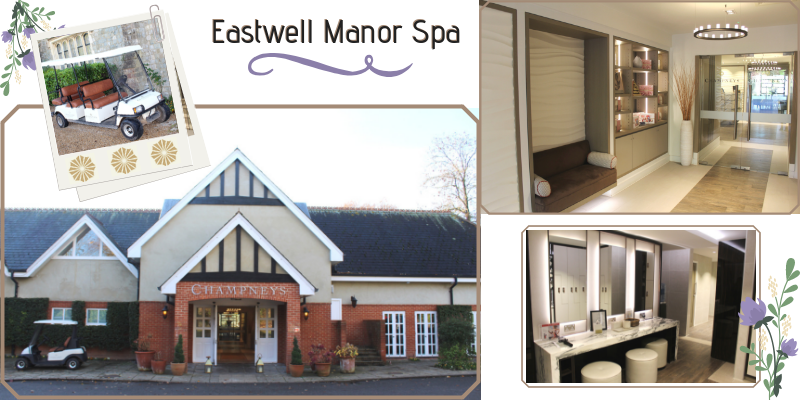 Participants: The Champneys Eastwell Manor Midweek Spa Day with Lunch is for 1 participant. While there are no strict rules concerning group size, treatments are subject to availability. The experience is not suitable for non-paying guests. Champneys Resorts have a casual, relaxed atmosphere. Flip flops are provided to all guests and are yours to keep. They are anti-slip tested and certified, and given the higher risks that come with wer pool sides and spa areas we strongly recommend wearing them at all times other than whehn other footwear is more suitable, e.g. in the gum, classes, walks. In the daytime it is perfectly normal to wear your robe or fitness clothing around the resort, including at breakfast and lunch. The dress code for the evening dinner service is smart casual. No sportswear or vests to be worn at dinner please. Likewise, jackets and ties are not necessary. For treatments it is normal to wear just your underwear. Your modesty is protected at all times. You will also need a swimsuit, plus something comfortable for the gym and exercise classes including trainers. Please bring walking shoes for the country hikes and walks. Practical footwear is essential at all times in the resorts, including in the restaurant and cafe in case of spillages and breakages. Your spa day will not be affected by bad weather. Amazing from start to finish. I am a beauty therapist so nice being a client for a change! The staff at Champneys Eastwell Manor were all so friendly. The massage was amazing and the food excellent! Lovely day. Relaxing. Good food. Nice staff. Excellent facial and back massage - Rebecca did my facial. Only negative was the beds around the pool - people left their towels on the beds and were no where to be seen. They werent in pool. There should be a time limit for people to be able to leave them. Otherwise they could have them all day. Your call centre took a very long time to answer when booking. Half hour. The gates into Eastwell Manor framed the beautiful picturesque setting, and made the entrance even more intriguing. 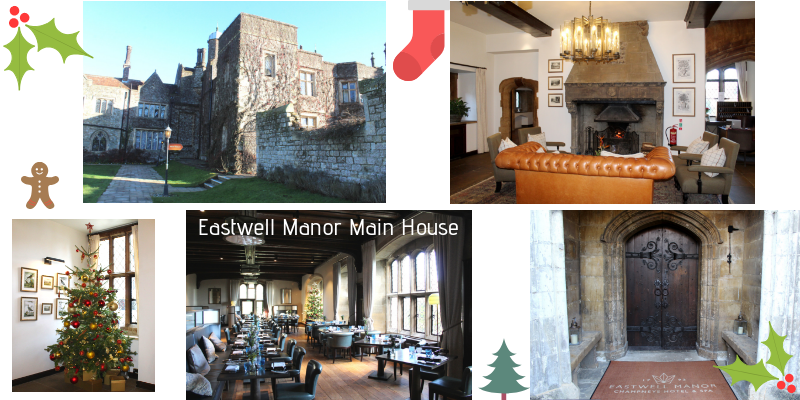 A small road led us into the spa resort car park, a short walk away from the Eastwell Manor reception area. Once parked up, we wandered through the rustic building to the front of the manor, and were welcomed by a friendly young lady who showed us into the manor house. The room has a rural feel, and was filled with Christmas decorations and a warm sizzling fire. I immediately felt right at home. The lady kindly took our coats and scarves, storing them in the back room for safe keeping. We were then free to roam the premises and take a look around. Firstly, we decided to wander straight into the garden to see the magnificent display of topiary plants, seating areas and a beautiful central fountain. After taking quite a few shots of the iconic manor, we made our way to the spa to have a look at the facilities and treatment areas. The spa is situated in a separate building, just behind the Champneys car park. 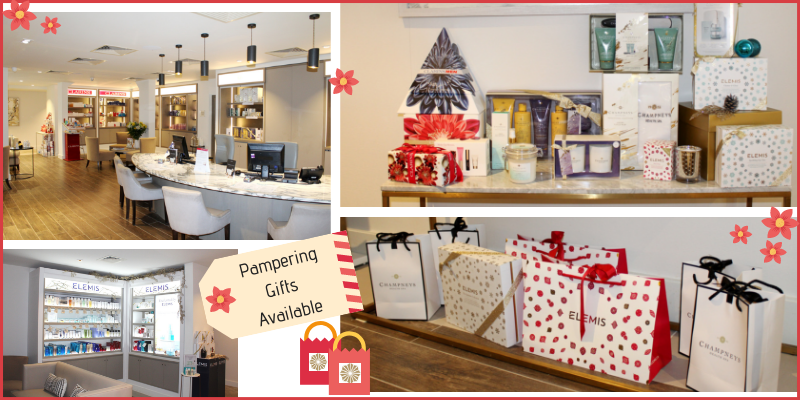 The reception is filled with goodies, including Clarins cosmetics and Champneys robes to take home or use as gifts. Once checked in and kitted out in robes and flip flops, you’ll be given free rein to explore the relaxation rooms, swimming facilities and treatment area upstairs. This is where you can book in at the desk if you wish. Back in the main manor house, we were preparing ourselves for our festive afternoon tea in one of the formal tea lounges. 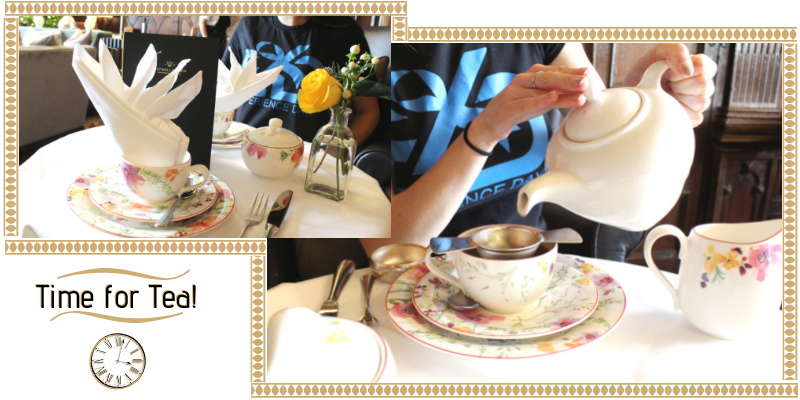 We were shown to our table, where beautifully painted teacups, saucers, linen napkins, and a large teapot sat waiting. The waitress was ready at hand to ask for our choice of tea, and after both agreeing on traditional English Breakfast tea, it was time to pour! A lovely touch was the tea strainer, which sat neatly above our teacups. After a short time, our festive afternoon tea stand arrived: a three tier stand full of delicious savoury and sweet treats. We couldn’t wait to dig in! We began with the bottom tier, which held a range of crustless finger sandwiches: egg and cress, turkey and cranberry, salmon and cream cheese, and cheese and chutney. The second tier was filled with 2 scones each, one plain and one fruit. These were both accompanied by a pot of strawberry jam and clotted cream. The final tier was a sweet treat zone. From mini mince pies, to christmas cake slices, to festive trifles, it had a selection for all. After a final top up of tea, we grabbed our things and head down towards the ice rink located outside the main reception area. By now it was darker out, and all the fairy lights and fire pits were beginning to be lit and turned on. Next door to the ice rink was a changing room for everyone to change their shoes to skates! On the ice, Gemma took to skating like a duck to water. I, on the other hand, did not! Holding onto the sides, I could barely stand! Gemma rushed an assistive penguin over to my side and within moments I was gliding across the ice attached to my new penguin friend. 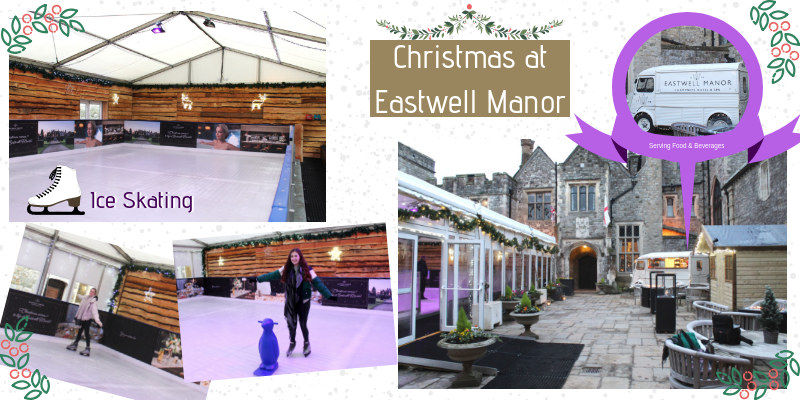 The rink was great, with plenty of room and space to move about, as well as a great scenic look decorated with fairy lights. It was especially Christmassy! The loud Christmas music was enough to get Gemma and I dancing, and by the end of the session I was holding her hand skating – almost - gracefully! Again, a huge thanks to Matthea and the Champneys team for treating us to such amazing food and relaxing treatments over the past few months as we have visited all five of their fabulous venues. We were truly spoilt, and made to feel so welcome. 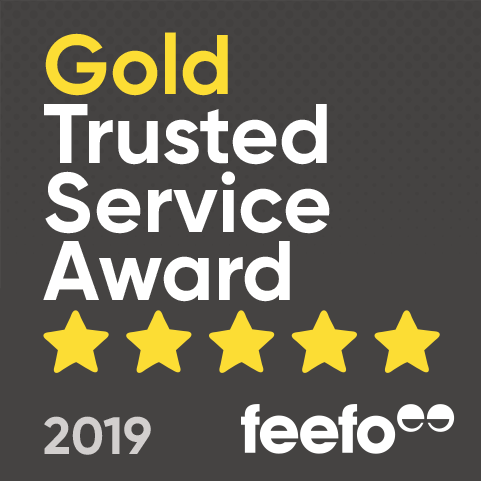 We have had great fun writing up our experiences, and I’m sure it won’t be long before you see us again!